Description: Limited-edition gear for true fans of the game. The officially licensed Levi's® Major League Baseball Collection celebrates your team spirit with iconic Levi's® styles. 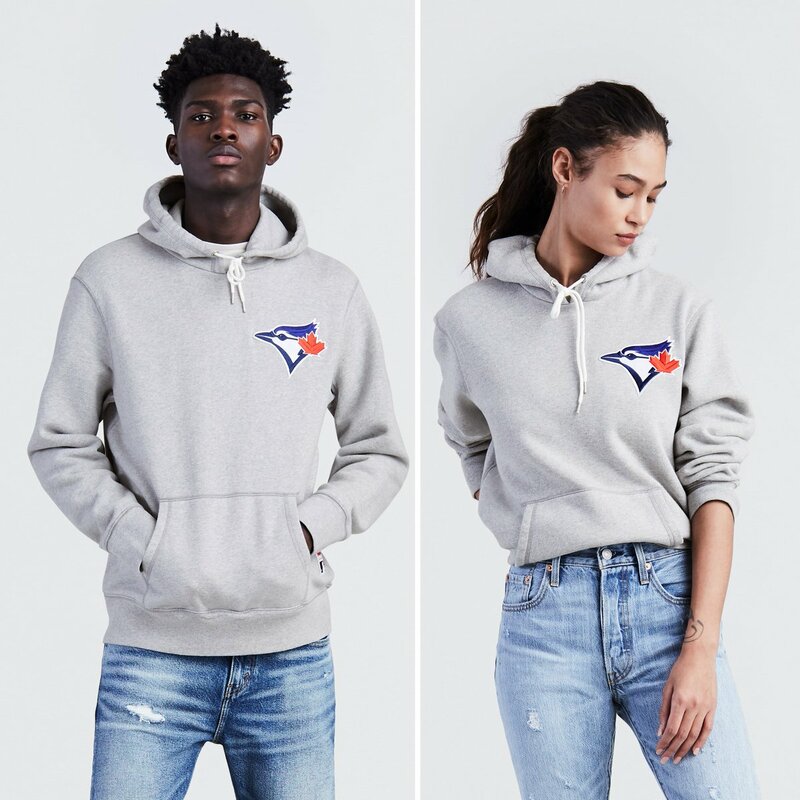 The team-logo hoodie is a staple of any ballpark wardrobe. Layer it under Levi’s® Trucker Jacket for extra warmth on cool-weather game days. Description: The Levi's® MLB Denim Trucker Jacket is a light, stone washed take on our classic Trucker, a staple that has been loved and lived in for decades. It's embellished with a logo chest patch that will display your team pride at the stadium — or anywhere else. Description: With the well-worn look of denim and utilitarian features, the Levi's® MLB Chambray Shirt is a timeless expression of pride for fans everywhere. Look sharp any day of the week, especially game day. 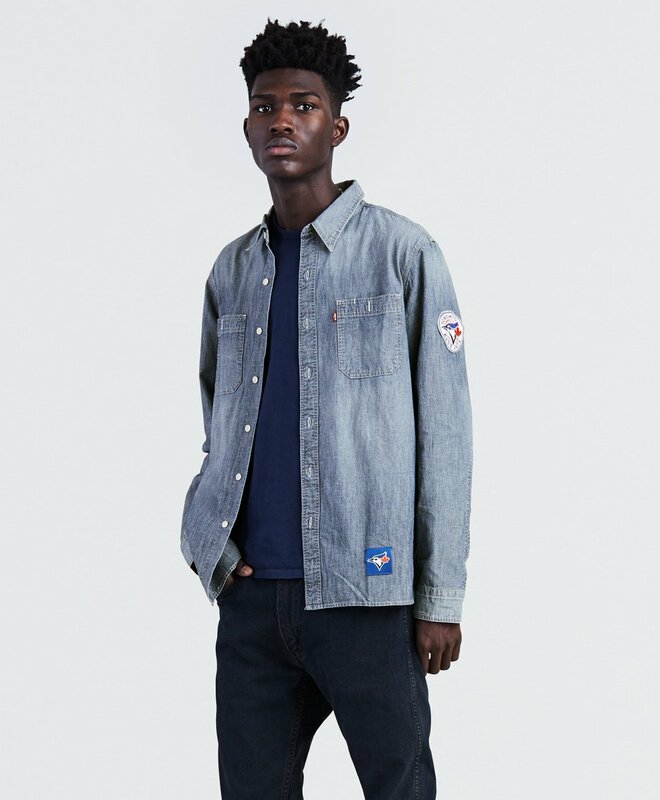 This classic workshirt, in lightweight denim, is embellished with a team embroidered patch on the sleeve and woven team label on the front. 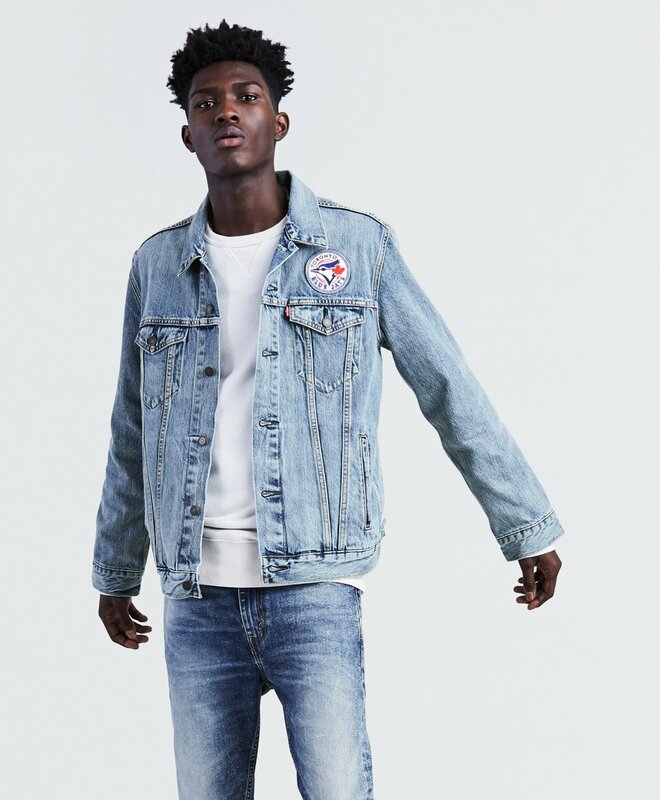 The collection is now avaible in select Levi’s® retail stores in Toronto, levi.com, select Hudson’s Bay stores, select Jays Shop™ locations and at JaysShop.ca.